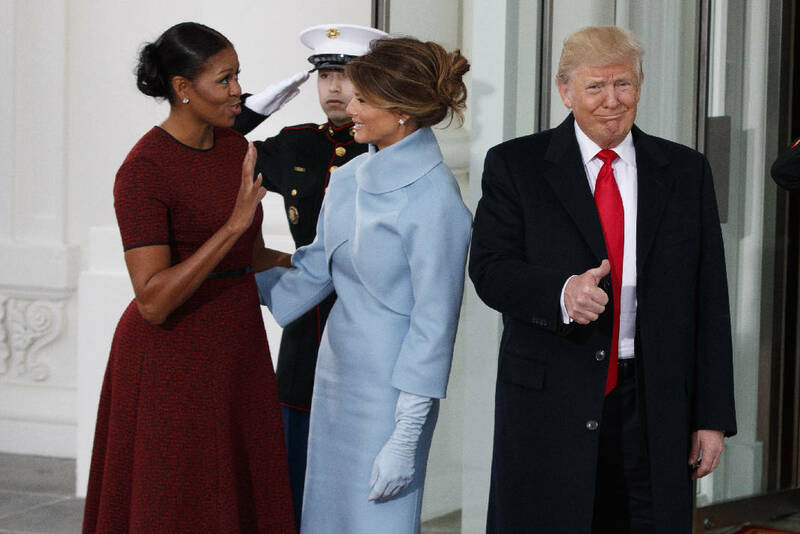 WASHINGTON — Pledging emphatically to empower America's "forgotten men and women," Donald Trump was sworn in as the 45th president of the United States Friday, taking command of a riven nation facing an unpredictable era under his assertive but untested leadership. Under cloudy, threatening skies at the West Front of the U.S. Capitol, Trump painted a bleak picture of the America he now leads, declaring as he had throughout the election campaign that it is beset by crime, poverty and a lack of bold action. The billionaire businessman and reality television star — the first president to have never held political office or high military rank — promised to stir a "new national pride" and protect America from the "ravages" of countries he says have stolen U.S. jobs. Demonstrations unfolded at various security checkpoints near the Capitol as police helped ticket-holders get through. After the swearing-in, more protesters registered their rage in the streets of Washington. Police in riot gear deployed pepper spray after protesters smashed the windows of downtown businesses, denouncing capitalism and the new president. Police reported more than 200 arrests by evening and said six officers had been hurt. At least one vehicle was set afire. Trump's victory gives Republicans control of both the White House and Congress — and all but ensures conservatives can quickly pick up a seat on the closely divided Supreme Court. Despite entering a time of Republican dominance, Trump made little mention of the party's bedrock principles: small government, social conservativism and robust American leadership around the world. He left no doubt he considers himself the product of a movement — not a party. As evening fell, the Senate approved retired Gen. James Mattis to be Trump's secretary of defense and John Kelly, another retired general, to oversee the Homeland Security Department. This story was updated Jan. 20 at 7 p.m. with more information.